When you’re bound by domestic duties, have fallen prey to weather changes or are constrained by location in general but still have an important meeting and office gathering to attend, what do you do? 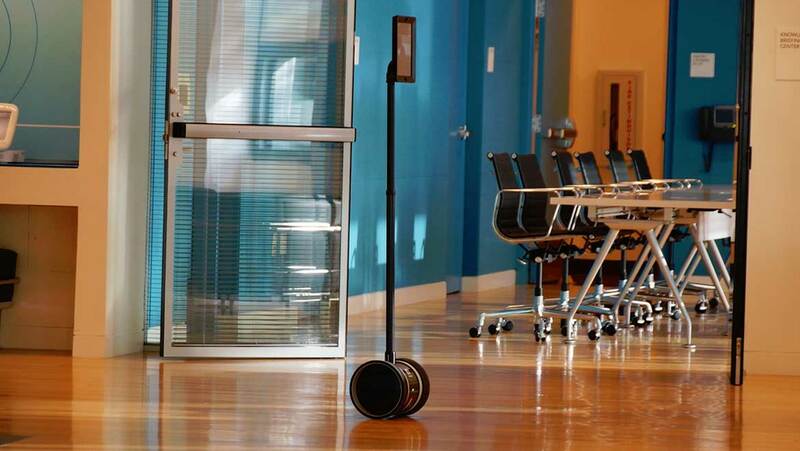 A remote worker or telecommuter’s dream, ‘Double’, a concept created by company Double Robotics, is an answer to the above question — a telepresence robot that currently functions with the aid of a regular iPad mounted on a pole about 5 feet tall, complete end-to-end encrypted audio and video controlled by the user, and connected via Bluetooth. The only challenge is procuring a consistently strong Wi-Fi signal, which isn't hard these days! The self-balancing bot’s tech makeup includes: a shock absorption system that is sure to take care of any collision with obstacles, a power drive that allows for faster speed, a 5mp camera with a 150-degree angle where images are viewable in high resolution, smooth video streaming (all hail the art of adaptive HD) and an always-on floor view to reduce time while switching between cameras. Advanced controls present themselves to the user on logging into the network via an app or website. How it works as a person? iPad for a face, stabilized wheels for legs, a microphone and speakers for volume and camera for eyes. Since it finds application in several workplaces such as MNCs, hospitals, for teachers in schools and colleges, restaurants etc., the costing for this virtual technology varies widely from about $2500 to $70k. Note, iPad purchase is separate! Neophiles, tech-lovers and others who have invested in the product have described the experience with the life-size robot as, ‘fun like that of a remote-controlled car and videoconferencing in one’, ‘became obsessed with the robot’, ‘successful as part of our flex work policy’ and such. There was some hesitation regarding the need for such a telepresence as services such as Skype and Google seemed sufficient for a work-from-home arrangement while still sharing screen space. Another issue was how such a mechanism is an invasion of privacy and could be a disturbance to people working on site. Ken Goldberg of the University of California explains that technology like Double’s signature lies in the way it ensures a “sense of empowerment”. 2016 saw a faster and sturdier version, Double 2, introduced at CES to update and keep up sales like 5000 units of its predecessor. If seen as a complementary tool and used sparingly, it seems like this robot allows you to explore an environment remotely yet actively, enhances the feeling of physicality and most importantly, allows you to be human in the midst of artificially intelligent developments. Sure, sounds like a cool contraption but whether an investment is actually required depends on the buyer’s profession, their purpose, curiosity levels and also budget!